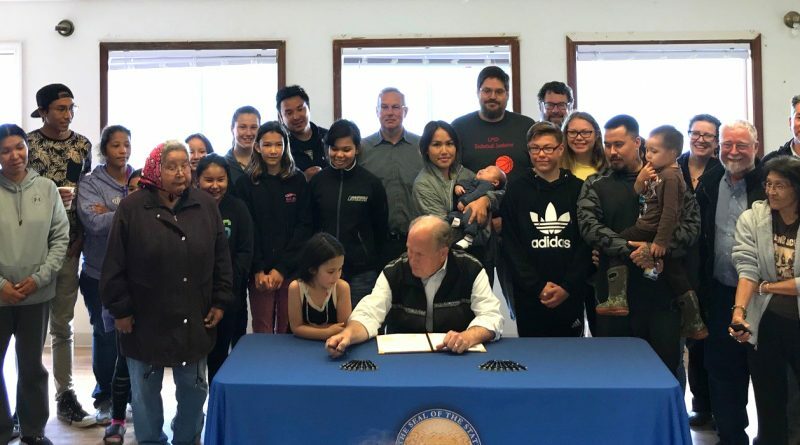 Nondalton – Tuesday, in the community of Nondalton, near Lake Clark, Governor Bill Walker signed House Bill 267, which gives municipalities that levy taxes on guided hunting and sport fishing access to records that businesses submit to state agencies. HB 267 will allow local governments to confirm that hunting and fishing activities subject to taxes within their jurisdictions are being accurately reported. 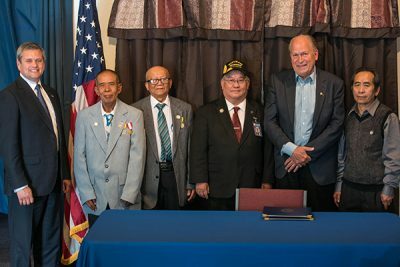 Fairbanks – Yesterday, Alaska Governor Bill Walker signed legislation to honor Hmong and Laotian soldiers who fought as allies to the United States during the Vietnam War. Senate Bill 204, sponsored by Senator Dennis Egan (D-Juneau) was amended to include language introduced by Representative Geran Tarr (D-Anchorage) to authorize use of the special veteran designation for Hmong and Laotian veterans on state-issued IDs and driver’s licenses. 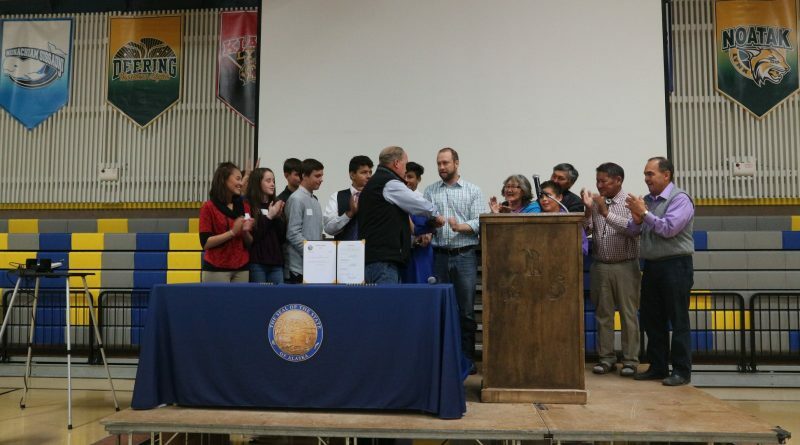 Fairbanks – Today, Alaska Governor Bill Walker signed Senate Bill 204 into law during a ceremony in Fairbanks. The bill, sponsored by Senator Dennis Egan (D-Juneau), allows Alaska chiropractors to sign Division of Motor Vehicle (DMV) forms proving that a person is disabled. This will help disabled persons obtain specialized license plates and parking permits. During the legislative process, the bill was amended by Representative Les Gara (D-Anchorage) to honor Alaskans who earned medals for valor in combat by creating license plates reflecting those medals. 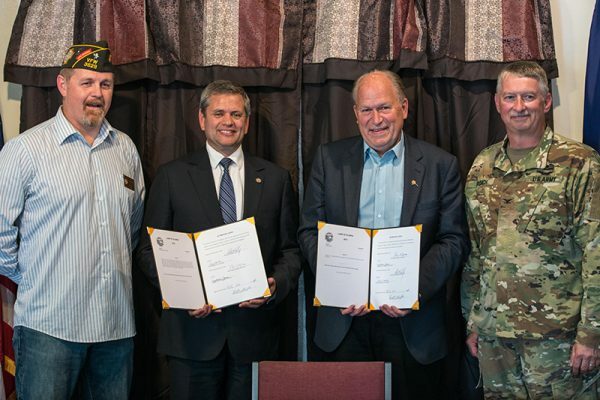 Anchorage – Today, Alaska Governor Bill Walker signed a bill into law that empowers the Alaska Department of Health and Social Services (DHSS) to collect additional, mostly administrative, fees to support public health services. House Bill 215 passed the Alaska Legislature this year with broad bipartisan support.